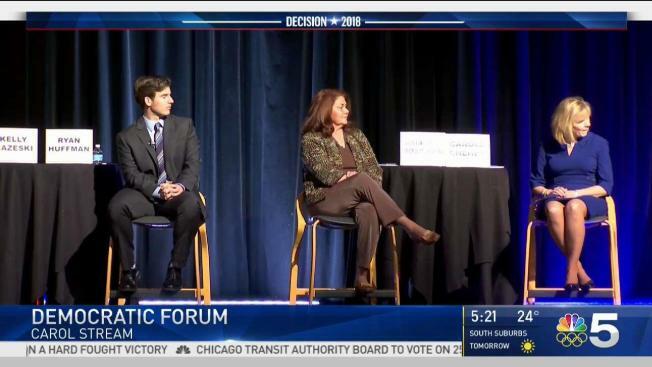 Both taxes and health care were two of the main topics at the first forum of all seven candidates running for the Democratic nomination to unseat Rep. Peter Roskam. The election of Democrat Doug Jones over Republican Roy Moore to represent Alabama in the U.S. Senate Tuesday night has raised new questions about whether Congress will try, or be able, to pass the GOP tax reform bill before the end of the year. Add Illinois elected officials to the growing number of people who say Alabama Senate candidate Roy Moore should step down. 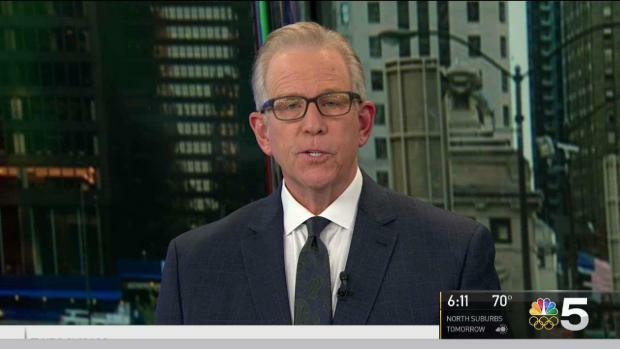 Republican Congressman Peter Roskam initially avoided the question, but after social media backlash, he made it clear he believes Moore should quit. Mary Ann Ahern reports. More than 800 people attended the event Tuesday night, held at Glenbard North High School with the school’s Civics Club playing a key role and providing several of the questions. Peter Roskam's House seat will be hotly contested in 2018, and he spoke with NBC 5's Mary Ann Ahern. The race is one of the most contentious and most watched in the country, Democratic political action committees have targeted Roskam. While the 6th District traditionally trends Republican, several national Congressional ratings have labeled the contest a “toss-up” in recent months.